without which I would be left wanting. am but a child. reaching for her Mother. and rejoice my growth and understanding. to You I offer gratitude and praise. Sit by a stream or fountain . Close your eyes and listen to the water. What thoughts the music call forth? The Ostara Newsletter Comes Out Tomorrow! Monday is a yin or receptive (female) energy the colors are White, silvers, Creams and Light Greys. These are the colors for women’s mysteries, protection, emotions, dreams, clairvoyance, home, family, medicine, female fertility, messages, theft and voyages. 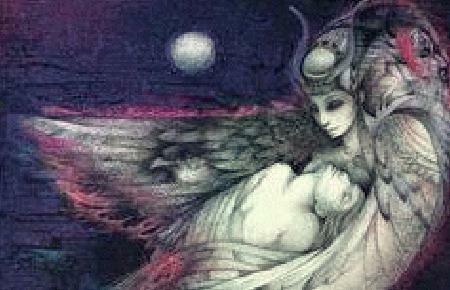 Subconscious healings, sisters, small animals and children, wives, instincts, the female side of the Male and Mothers. The tree is the WILLOW – From Illuminations by Carol. Monday – Especially suited to intuition, dreams, psychic ability, fertility, divination and study of the greater mysteries. Wear yellow and pearls. Ascending Node is at 10° Libra. also in 12th deg. of the Constellation Aries, the Ram. Moonrise: 9:12 morn. Souths: 4:13 eve. Moonset: 11:26 eve. Keywords for the New Phase: Beginning, birth, emergence, projection, clarity. It is the time in a cycle that you are stimulated to take a new action. During this phase the new cycle is being seeded by your vision, inner and outer. Engage in physical activity. Spend time alone. Visualize your goals for the 29.6-day cycle ahead. New Moon workings can be done from the day of the new moon to three-and-a-half days after. The New Moon is for starting new ventures, new beginnings. Also love and romance, health or job hunting. Crescent Phase ~ Keywords for the Crescent phase are: expansion, growth, struggle, opportunity. It is the time in a cycle that you gather the wisdom learned in the new phase and communicate your intention to move forward. Light a candle. Write or read an affirmation. LISTEN & ABSORB. Commit to your goal. or Virgo, in good Aspect with Saturn. is observed to be unfortunate for every purpose. Cornua Arietis, The Horns of the Ram. Marked by the fix’d Stars: Sharatan & Mesarthim, in Aries. Sunrise: 7:07 morn. Sunset: 7:22 eve. Length of Day: 12h. 15m. Dawn: 6:41 morn. Dusk: 7:48 eve. Length of Twilight: 0h. 25m. this is a sign of fair weather. Yang, Masculine, Solar, Positive, Diurnal, Fiery, Cardinal, Barren, Horary Eastern, Vernal, Boreal, Commanding, Equinoctial, Feral, Bestial, Animal, Four-footed, Dry, Bitter, Hoarse, Hot. If you repeat an affirmation three times a day three times each time you do it for 28 days it will become a part of your being and whenever you feel like life is going out of control you will be able to just find that safe place. One who is untamed and tamed. You feel a new sense of spiritual purpose and meaning in your life. Maybe even a move into a new job or new house. 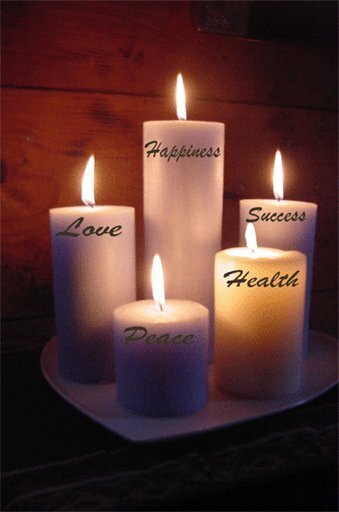 Bring spiritual light into everything you do this week. Perseverance is key! Birthday of Athena. Invite friends for dinner. Leave a place at the table for this Goddess of Home and Community. Dance of the Salii: On this date in ancient Rome, the Gods Mars and Saturn were invoked each year by dancing priests brandishing spears and clashing holy shields. The evil spirits of Winter were thus expelled from the city, and the growth of crops and gardens was stimulated through sympathetic magic. Poland: An old Pagan festival of Spring called the Marzenna is celebrated annually on this date with singing, dancing, and the “sacrifices” of straw effigies. Tubilustrum – The last day of the Quinquatrus (see March 19). Also the day the straight trumpets (tubae) used in ceremonies were purified. Day of Blood – On the second day of the festival of Attis, priests of Attis danced and gashed themselves with knives, joining Cybele in her sorrow over her dead lover. Worshippers spent the entire day in mourning, wailing, keening, clashing cymbals, playing flutes. That night was spent holding a vigil over a mock tomb. Then in the morning, the priest opened the tomb to reveal that it is empty. Mon. 3/23 Steady Taurus Moon provides energy to keep at tasks. Tue. 3/24 Chatty Gemini Moon makes good for communication. Wed. 3/25 Peripatetic Gemini Moon suggests getting errands done. Sun trine lightens responsibilities. Thu. 3/26 Flirty Gemini Moon makes light hearted fun. Motherly early PM Cancer Moon suggests taking care of others. Fri. 3/27 Collecting Cancer Moon goes antiquing. Venus squaring Jupiter warns of overindulging. Sat. 3/28 Hospitable Cancer Moon makes for home entertaining. Sun. 3/29 Creative Leo Moon suggests fun projects for all. Mon. 3/30 Fun loving Leo Moon makes for an enjoyable Monday. Venus trining Pluto says here’s your chance for love. Mercury into Aries brightens thinking. Tue. 3/31 Caring Virgo Moon makes for kind help. Mars into Taurus steadies active energies. About Isis: One of the most complete Goddess figures in history, Isis breathes on us with spring winds to revitalize and fulfill our spirits in every way. 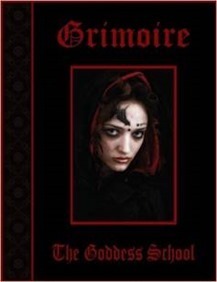 Egyptians venerated Isis as the Queen of Sorcery; Life of the Nile, Mother Moon, and Protectress. Isis taught humankind the basic skills necessary to build civilizations, and she came to represent the powerful attributes of faithfulness, love, inner beauty, oracular insight, and spiritual awareness (to name just a few). She could also change her follower’s destiny. To Do Today: Today was the spring harvest festival in Egypt, honoring the giver of all life, Isis. Put a bloodstone or amethyst in your pocket today to inspire any or all of Isis’s characteristics in your soul and life. If you have any silver or white clothing, wearing them will also foster Isis-centered energy, because these colors are associated with the Moon. One traditional activity today is fortune-telling, an art under Isis’s dominion. To encourage visionary dreams from her, put some rose petals under your pillow before going to bed, and burn some myrrh or jasmine incense. Keep a dream diary handy, and write your impressions immediately upon waking so you won’t lose the insight. Many, if not most people seem to think that spring consists entirely of balmy breezes and blossoming trees, along with pleasant showers that bring May flowers. A few days of warm weather make them think that spring has arrived. Then when the weather turns cold, they say that winter has returned. Yet nature knows best. The cycle of gradual warming and cooling allows for trees to partake in their awakening process at their natural speed. It would be nice to think of spring as entirely warm and pleasant. Yet the beginning of spring is actually the Equinox: equal hours of light and darkness. The gradual lengthening of light awakens plants and animals. The hours of daylight have been increasing perceptibly since the beginning of February. Now we have reached the actual balance between dark and light. Living as we do in a world where electricity can turn night into day, we may not be as aware of the nurturing quality of darkness. For myself, I find I enjoy the dark hours as much as I do the light. While I love the light and appreciate the lengthening days of spring, I also remember with pleasure the snugness of the long winter’s nights and the coziness of the covers when it is dark outside. Balance is good. The ups and downs of spring weather remind us of that. I am glad I live where the seasons bring an obvious change. As I drive I smile at the swelling, pinkish buds of the as yet bare trees as they reach toward the sun and its warmth. May you appreciate the many moods of spring as it advances. Seeking an Easter gift that keeps on giving? Tasha’s comforting book of poetry, short essays and simple uplifting exercises, Heartwings: Love Notes for a Joyous Life, and Stephen’s very special book, Abracadabra Moonshine and Other Stories; can both be ordered from Amazon. For signed copies send $18 to include postage and handling to PO Box 171, North Grafton, MA 01536. Sign up for more Heartwings: go to www.heartwingslovenotes.com. Read Stephen’s newest entertaining stories on his FaceBook page or The Funnywrite Zone. produces a separation of light and dark materials into spherical shapes, and is a form of volcanic glass. cliff’s edge and chose death by leaping over the edge rather than die at the hands of the white men. the bleached bones wedged in the crevices of the side of the cliff. had their 75 brave Apache warriors died, but with them had died the great fighting spirit of the Pinal Apaches. an Apache tear drop will never have to cry again, for the Apache maidens have shed their tears in place of yours. The Apache tear drops are also said to balance the emotional nature and protect one from being taken advantage of. change as new positive attitudes replace old, negative, egocentric patterns. Many of the ingredients in this tea can be easily grown by you! clear my mind from the foggy haze. water that has been seasoned with chicken or vegetarian bullion. to add about a teaspoon of cayenne, but a dash may be enough for most people. When Jerry saw the ad for the magic mirror he grinned. “Wow, this looks like something I could really use.” It was advertised in Midnight, a supermarket magazine his mom brought home when she went food shopping. The ad guaranteed immediate answers to vital questions concerning health, wealth, romance, and the beyond. All he had to do was ask his question, press a button, and await a reply from the great cosmic forces. Then I could find out stuff, he thought. For someone completing his junior year in high school, answers to questions like that were invaluable. The mirror sold for ten dollars. He thought that seemed expensive, however the vivid illustrations were convincing. He called the eight hundred number, placed an order with his mom’s credit card. He knew she wouldn’t mind. The next day at school he shared the ad with Loretta, his new girlfriend. ”Then go ask them,” she hissed. ”But you can’t because they’re dead.” She could hear her mom’s words warning her not to get too serious with this boy. After all his parents were divorced, and his mother didn’t belong to the PTA. She was beginning to understand her mom’s concern. Two weeks later the Magic Mirror arrived. The package was considerably smaller than Jerry had anticipated. He opened it, expecting an elaborate glass mirror framed in brass. Instead what he got was a pink plastic one that looked like a toy from the dime store. The directions were simple. Insert battery, ask question, push red button below screen. Your answer from great cosmic forces will appear. He inserted a battery, rubbed his hands together and asked. “Will me and Loretta stick together ‘till we graduate? He pushed the little red button. Almost immediately a no appeared on the tiny screen. ”Ok forget it. Celtics going to beat the Knicks tonight?” He pushed the little red button. A yes popped up. “Darn straight,” he said still shaken over the prediction about him and Loretta. ”That’s all right dear. Loretta has her bossy side. I should think you’d be much happier with Mary Jane. Want a cookie?” She poured him a glass of milk. ”Ask your mirror,” she suggested. He did and a yes appeared on its screen. The next day at school Loretta broke up with him. “I’m sorry Jerry but I need a boyfriend more down to earth than you, someone who’s practical and knows how to save money.” She gave him a peck on the cheek and vanished amidst a flock of admirers. That didn’t make any sense. Then on the kitchen table he saw a recent copy of his mom’s newsmagazine Midnight . There in bold type across the back cover was the headline: Last Chance to Invest in Biggest Oil Bonanza Ever. He thought about it. It felt right. His magic mirror said yes, affirming it. He had more than $300 saved up to buy a special birthday present for Loretta, but forget that. Instead he bought three hundred shares of Big Oil Bonanza at $1. a share. Several weeks later Jerry received a registered letter. The latest big oil gusher had paid off. His three hundred shares were now worth three hundred thousand dollars. Did he want to reinvest or sell? He chose to sell, depositing his money back into his savings account. That night he called Mary Jane and invited her to the Junior Prom. To his surprise she said yes. That made him feel happy. Now he had a new girlfriend and money back in the bank. He hugged his mom when she came in from work, shared his good news with her and took her out to dinner. If you’d like a FREE copy, just reply to this e-mail. Thanks again for being a fan of my writing. I am the Goddess, mistress of the land. It is I who created the unbreakable laws. It is I who divided earth and heaven. It is I who charted the stars. It is I who set the moon and sun overhead. It is I who ordered the tides. and I who created all the mysteries. and I who designed penalties for evil. and I who metes it out. queen of thunder, queen of the sun. Only I can overcome fate. Only I can overcome death. The power of the Goddess is the power of creation. The Egyptians, and the Romans who also worshipped the Egyptian Goddess Isis, knew something of the complexity of her character. The genesis of all life, they said, rests in her. And so does its maintenance, its sustenance. As the force of universal order, the Goddess shows us the way to maintain ourselves in balance with the earth and with each other. Righteousness, in her eyes, is both kind and fierce; it is not a mixture of the two, but both in equal measures, and unmixed. We must be simultaneously strong and gentle in order to emulate her. We must take care of both ourselves and others. We must both be nourished and nourishing, caring and cared for. Wherever we find imbalance, we can turn to her as a symbol of universal order. Epigram: Recent issues were worrying enough you`ve given them top priority. Discuss every option and let others know things are being dealt with. Then do the minimum. Initially this seems unwise; but by midweek, some dilemmas are untangling themselves, while sudden changes turn those once-worrying situations into opportunities. While, obviously, you`ll want to make arrangements, ensure they`re flexible. Whatever is good now, there`s yet more to come. Outline: Your life may be full of days spent speeding down the highway toward sweet destiny, but Monday and Tuesday aren`t among them. You`re moving in the direction of destiny, sure, but the pace would be more accurately described as that of an infant on all fours. The crawl intensifies to something more like a healthy jog on Wednesday and Thursday, but it`s difficult to keep your legs pumping, since you spend much of your time holding a cell phone to your ear. Friday and Saturday are days of clarity and catharsis and possibly family time. Sunday`s romantic. Attending to practical matters is strongly advised. This is a good time to ask for a pay rise, find a well paid job or seek a promotion. If you are offered a chance to work abroad, be sure to take it. You`ll benefit from experiencing a different culture. Learning a foreign language can also improve your career prospects. Half the battle is finding the right environment. Fortunately, a talented contact will be happy to help. Get ready to work hard and exceed even your own expectations. We are now between eclipses – with an important lunar eclipse in your sign due on April 4th. The latter may well indicate some kind of domestic or emotional drama. True, you may already be knocked off your axis by news from a close friend who has apparently decided to take their career off in a direction you`d never have anticipated. It`s quite possible though that you too are rethinking plans and that discussion taking place early this week makes clear that you could focus your energies in a new direction – and where your talents would be readily noticed and respected. True, this probably will require doing more work from home (in which case you might need to create the `perfect` space for this extra activity). A further and strong possibility is that someone who shares your enthusiasm for what has been a hobby but could yet be another revenue stream will suggest joining forces. Career & Finance: Expect a work slowdown during the first few days this week. Instead of regarding it as an annoying obstacle to go around (or push out of the way), take time to find a more lasting solution. Then you can pick up the pace starting Wednesday afternoon and continuing through the end of the workweek. Discrete, smaller tasks are easily dispatched now, leaving time for some higher-level concepting; and if you feel sapped when the weekend comes, proper sleep goes a long way toward getting your energy level back up. Investigate natural solutions if your rest pattern is awry. Epigram: Between the inconsistent mood of others and increasing complex obligations, you`re tempted to organise certain arrangements and be done with it. That seems easy but would lead to compromises you`d soon regret. Be patient until the 31st, when the move by the forthright Mars into Taurus, brings a timely boost. This not only clarifies your priorities, it gives you the energy necessary to fight for them. Outline: The intensity is remarkable. You had a sense that something was developing between you two, but on Monday and Tuesday, it`s undeniable. Whether this is someone you just met or someone you`ve known for a while, a new leaf is turning, and you`re talking about it. Wednesday and Thursday affect you in funny ways. You`re running around like crazy. There`s no particular hurry, but you`re in a hurry — it`s completely out of character for you. Friday and Saturday, try to explain it all to a friend, maybe over dinner. Convey your excitement, then spend Sunday dwelling on you-know-who. Putting money into a savings account is a wise idea. This financial cushion will protect you a cash crisis. You`re always happiest when you have a nest egg. Living from paycheque to paycheque makes you nervous and irritable. It may be necessary to live on a shoestring while you`re building up your stash, but this won`t faze you. Your charisma is very strong, making you a popular figure within your social and professional circle. You`ll enjoy rubbing elbows with all sorts of different people. There`s much to suggest that changes to your environment will be high on your agenda. At one level this might simply be a manifestation of change of season. However, with Venus in your sign and taking into account this curious period between eclipses, it`s as likely that something more fundamental is afoot. A financial partnership could come under scrutiny. You might also find that an alliance with a large corporation demands attention. The interesting thing about this is that they may wish to have you on-side. It may be that your goodwill is worth a significant amount to them. What`s also entirely possible is that a project you`ve worked on for some years will be given fresh momentum – perhaps because a close colleague or partner now realises what success would mean to you both. Career & Finance: As the week begins, understanding the other party`s point of view and then bringing them around to your way of thinking is just a matter of finesse (and a little flattery never hurt, either). Then beware of on-the-spot decision-making from sometime Wednesday and through the end of the workweek. Even just a few moments to rethink and confirm could be crucial — tell them you`ll get right back to them, with a specific time frame, of course. This weekend, both work and non-work-related relationships can be strengthened — how about a little of both? Epigram: For ages you`ve been considering major changes in elements of work or lifestyle, but been unsure what to do. The recent eclipsed New Moon both accents these and, between events and your own insights, brings a welcome fresh perspective. Consequently, suddenly you have the clarity necessary to get moving. Act swiftly but ensure arrangements can be easily changed, as yet more stunning opportunities are about to appear. Outline: Put on your high-calibre goggles and take a very close look at what`s going on. Monday and Tuesday, clarity is a prevailing theme, and the main obstacle in achieving it is the presence of busybodies. Like so many bumblebees, they create a commotion about things that can only be described as irrelevant. False information abounds. Wednesday and Thursday, break out of your zone a bit to interact with others, but know that the most useful conversations you`re going to have will be with strangers. This weekend, you`d be wise to come up with ways of entertaining yourself that don`t involve money. Taking a back seat for a wee while is a really good idea. You`re a highly energetic, enthusiastic person. This vitality can eclipse the accomplishments of everyone around you so make a concerted effort to stay on the sidelines. It`s time to let someone else bask in the spotlight. On a more prosaic level you need to take more care with cash and not try to impress people with your spending power. You could quickly run up a larger than expected bill that will take you ages to get paid off. The period between eclipses (as now) is curious in that it can seem as though a veil has been lifted. True that might yet reveal something you need to deal with quickly (and probably around the lunar eclipse on April 4th) but the fact is that you CAN see what could and should be done. It might now be clear that a working partnership is exactly that. It might also need to be put on better footing – especially if there`s been any doubt about loyalty in the past. Of course you don`t want to give away too much. Yet it may be that you can at least discuss what would happen if there was a more equal distribution of labour – and reward. Midst all this, and especially in the last days of March, it may be apparent that others mid-crisis need extra support: until early next week you might wish you had at least one extra hour in the day. Career & Finance: To be most highly effective this week, you`ll need to get all your ducks in a row straightaway as it gets started. Pay particular attention to any accounting and investigate any new information thoroughly. Schedule meetings, brainstorming sessions and lunches with key parties for Wednesday, Thursday and Friday — and be sure to recognize the `random` new connections the stars put along your path now. This weekend, be conservative vis-a-vis finances and cash flow, both your own and your business`. Even little savings now help in big ways later. Epigram: Leaving others to fight their own battles isn`t easy but, as is becoming increasingly evident, these matters really aren`t yours to deal with. Offer advice, if you must; but then withdraw and focus on the far more promising discussions involving exciting ventures, your finances and potentially rewarding partnerships. While finalising these may take a while, the results will be more than justify the wait. Outline: Some ideas are bound to fail. So don`t worry so much about yours being fully formed — what matters is getting them out there, proposing things, seeing what sticks. The person who comes up with ideas from scratch is the most important person in the cause of progress. Let others help you hammer out the details. Don`t worry about who gets the credit. In the middle of the week, with all this creativity floating around, some people are bound to feel hesitant or left out. Convince them to participate. Friday and Saturday are about new beginnings. On Sunday, make an investment. Acquiring specialised skills and knowledge will make you an invaluable asset to the job market. Soon, you`ll be able to land a well paid position that will bring you the security you feel you need and give you more time to pursue the activities you enjoy. If you want to get a foothold in a different industry, join a professional organisation. Your fellow members can alert you to any upcoming opportunities. Who you know is just as important as what you know. Grow your social network. We are now between eclipses: a period that concludes with the lunar eclipse on April 4th. By then, a root and branch adjustment of your career options may be made necessary. The `good` news is that with Venus moving through Taurus, attending to practicalities should come easily. You may also find you have more assistance from friends and colleagues (most likely born under Aries) than you`d have imagined. Perhaps it`s their turn to be understanding? It might also be that they sense they too are moving on but that without your expertise they`d be going nowhere. It`s just possible too that you and a team could have something to celebrate before month end. Anticipate being given considerable credit for having got things to the stage that they are. Know too that this could be the start of something much bigger and that the nurturing you give to a project now could yield big rewards in January 2015. Career & Finance: A lunch or dinner meeting goes particularly well on Monday or Tuesday. Remember, you don`t need a reason for face time and going agenda-free can often lead the most mutually beneficial places. Then starting Wednesday afternoon, tread lightly where your boss or important clients are concerned; through the end of the workweek, it`s better to draw them out and bide your time, rather than putting your agenda (or your problems with theirs) out there; and you`re especially mentally acute this weekend, with creative ideas flowing. Capture them for later follow-up. Epigram: It`s not so much the changes in arrangements or alliances involving certain individuals triggered by the recent eclipse that are unsettling. Even more, you`re struggling with the sentimental feelings they stir up. Obviously, you`ll fight unwelcome changes. Instead, take a deep breath and consider changes. This gives you much needed clarity, especially when events arise, in late March and early April, and are beyond your wildest dreams. Outline: If it were a black-or-white question, a matter of right or wrong, you wouldn`t be facing the dilemma you have on Monday and Tuesday. Putting off a decision is not a bad move. Focus instead on finishing up some projects you`ve already started. Then, on Wednesday and Thursday, air your quandary among friends, at least to hear a range of responses. You may find yourself agreeing with someone, and therefore coming closer to a conclusion yourself. Friday and Saturday are warm and comfortable, as if you`re a happy plant in a fresh plot. On Sunday, you get everything you need for growth. It`s important to take well timed breaks. Trying to race to the finish line will result in burnout. Be mindful of the time. Setting an alarm will be helpful. Keeping a supply of healthy snacks available will also boost your productivity. If you do a good job, you will get a raise, promotion or both. Your employer will be impressed by your ability to exhibit grace under fire. Working with the public comes naturally to you. Often, your warm charisma wins over even the most cantankerous people. We are between eclipses when, whilst in this instance it might seem one door is opening, you may also be aware that another has to close. Shortly there will be no turning back. True, that might not happen for some weeks yet. There`s every likelihood though that you are now on the threshold of changes that will affect at least the rest of this year. True, throughout much of this you may feel you have no control. Yet it appears that others really do want to know what you think and how best your objectives can be achieved. In particular, it may be that the space in which you are asked to work is made to feel better – perhaps more airy. It could be that you`ve been starved of ideas or that those around you have been just too emotional. What you might now need is to know that one of your pet enthusiasms is being given attention and that you`ll be given the responsibility to move this forward. It`s this that might well lead to you turning your back on a situation that`s been suffocating. Career & Finance: The work climate`s more complicated than it first appears as the week begins. In order to perceive the hidden factors and account for the most intricate angles, you`ll have to start by admitting what you don`t know. Then around Wednesday, Thursday and Friday, your human resources are your best resources. Call on a workplace friend or ally and get your mentor`s two cents while you`re at it. (No mentor? Look now. Even you can use one.) And while criticism may sting this weekend, there`s some important take-away there. Epigram: Initially you enjoyed being part of certain arrangements. Recently, changes have severely diminished your role. Recognise this leaves certain unappealing tasks up to others and, instead of feeling rejected, you`ll focus on various intriguing and potentially profitable arrangements. In every case, take things slowly, since with ongoing changes reshaping everything, you`ll find you must rethink your plans and priorities on a daily basis. Outline: Great writers do some of their most intense work by staring out the window. Major business decisions have been struck over slices of pizza. Monday and Tuesday, strive to get things done in a relaxing environment. Toward the middle of the week, you have no time for staring out the window or going out for pizza — in fact, you have to strap yourself to your desk to finish everything. Friday and Saturday are downright frantic, and Sunday won`t be very relaxing either; but if you can be flexible, that will prevent you from breaking. Don`t break! You may have to assume some responsibilities for a relative. Whether you`re running errands or making food or providing childcare is immaterial. The important thing is to be supportive. Luckily, helping others comes naturally to you. You`re always looking for ways to be of service. Don`t forget to attend to your own needs in the process. Treat yourself to a trip to the shops or go to a movie you`ve been longing to see. It`s easy to be generous when you cultivate contentment. It`s not at all unusual for those born under Virgo to have at least two objectives within their sights at any time. Multi-tasking suits you! This week that could prove more of a juggling operation than is normal however. Recall that we are between eclipses and that others may well be changing direction – leaving openings you may be confident you can fill. It`s probable too that post last week`s events, there will be opportunities for you to show off your creativity. In particular, someone who`s worked with you for a long time, knows your methods and has renewed respect for all you`ve achieved in recent months, will suggest taking your alliance to another level. Yes, this might require that you do some self-investing. This though may be an opportunity to which you give serious thought. Note too that those born under Sagittarius, Capricorn and Aquarius could prove wise counsellors. Career & Finance: You`ve got a handle on the trees — check out the forest during the first few days this week. Instead of just discrete tasks, consider your career arc. Then starting sometime Wednesday, you`re moving fast, but another party may need some hand-holding. Not everyone can be as quick and logical as you are from now through the end of the workweek. Make (and keep) social plans this weekend. You may have to pry yourself out, but once you`re there, you`ll feed on the energy (and possibly do some great networking). Epigram: Others are considering worrying concepts, yet you can do nothing it. Acknowledge that. This isn`t easy; but it frees you to focus on several arrangements, personal and involving career or finances, that need attention. Some need a clever rethink but a few must come to an end. Don`t mourn these. This is clearing the way for the breakthroughs ushered in by early April`s Libra eclipsed Full Moon. Outline: You`re climbing fire escapes on Monday and Tuesday, trying to get a better perspective on how the world fits together. If only you could be in a helicopter! Toward the middle of the week, you`re in a crowd situation, and you feel both empowered and overwhelmed by other people`s combined energy. Go with the flow. Try not to overanalyze. See what you learn. Friday and Saturday are entirely bereft of dreams of helicopters or the anxiety of crowds — instead, you find yourself relaxing into your work. It`s gratifying to get things done. On Sunday, listen. Stop, look around you and see what`s actually happening. Your eyes will probably be opened to all sorts of new issues you have never noticed or considered before. This is a time of new growth and realisations. You will understand that things have to change and one of those things might be the way you live your life. Be open to change and willing to experiment but also learn to appreciate the good things you have all around you. You don`t want to throw the baby out with the bath water do you? We are between eclipses – with the lunar eclipse in your sign early next month. It might be as well to anticipate further (yes!) and unexpected developments with regard to a partnership that you`ve perhaps thought was running smoothly but which may have hit a little turbulence. It`s also probable that in this period between eclipses you`ll give thought to which tasks suit you (mentally, physically, spiritually and financially) and which are draining you. Though you might not arrive at a decision this week, it`s probable that you`re not far off directing your energies more purposefully – and happily. That said, a project that may have been under the radar for some years could yet resurface – but this time be focused and given a workable time-line. The co-operation this requires should suit you well. It`s even possible that this will give rise to celebrations at the weekend. Career & Finance: Your negotiating skills serve you particularly well as the week gets under way. If you`re willing to propose a small compromise here and there, you not only look flexible, you can then bargain to get your larger agenda items pushed through. Then life`s about more than work starting sometime Wednesday. Through the end of the workweek, you`ve got the potential to make major personal progress — give yourself time to pursue it. The self-confidence you gain is a business plus. This weekend, avoid radical change or experimentation. Stick with what`s working. Epigram: Although you dislike admitting it, you`re both a creature of habit and sensitive, to others but also, you sometimes react strongly to enforced changes. These, which involve your daily routine, obligations or complex commitments require a serious rethink. Things can`t remain as they are. As much of a struggle as this seems initially, within days you`ve rearranged everything and are focusing on intriguing future plans. Outline: A rare feeling dominates your heart and mind at the beginning of the week. It`s a thrilling feeling. It has something to do with a relationship, possibly a romantic one, and it may inspire you to boldness. Friction, force and sports also figure on Monday and Tuesday. It`s a charged beginning to a happy, productive week, although it would be a stretch to define Wednesday and Thursday as particularly happy. There are a million small tasks you break your back to get done on those days. Friday and Saturday are, by comparison, effortless. You and your friends communicate almost telepathically. On Sunday, you lie low. Achieving financial security is important to you. Having more than one source of income will protect you from any sudden fiscal fluctuations. Working as a tutor, mentor or helper may appeal to you. Alternatively, you might opt to write for a website or magazine. It`s even possible you can get paid to submit reviews for a shopping or travel site. Use your powers of communication to generate money. People are interested in learning from you. They appreciate your sophisticated take on the world. Hold the thought that we are between eclipses when it can seem as though a veil has been lifted. It may be that some of your earlier suspicions are confirmed and that as a result, others are keen to hear more of what you have to say. It might also be that you`re `incubating` news. It wouldn`t be surprising if it took you some time to absorb the implication of changes you know will occur later in the year. It might also be that discussions with others born under Fixed signs (Taurus, Leo or Aquarius), are helpful. (They should understand just how momentous developments really are). It`s also quite possible that relations with someone who – until now – has appeared to make decisions without considering feelings – will improve when first steps toward accepting responsibility are taken. Though it`s likely to be after the lunar eclipse (April 4th) before you see real signs of progress, this week could mark the start. Career & Finance: If the climate at work isn`t right for risk-taking during the first few days this week, you`d best find another area to get this energy out in. Challenge yourself with a sport or game, or how about putting yourself out there in your personal life? Expect something to come to light in the work context around Wednesday, Thursday or Friday. Doing a little digging doesn`t hurt now — get more info; and this weekend, that sixth sense of yours kicks in about a work situation — or is it your ongoing analysis and great brainpower? No matter; follow your instinct. Epigram: Sometimes, in your eagerness to proceed with promising ideas or offers, you cut short the process of disentangling yourself from past arrangements. Do that now and within days you`ll realise why taking things in stages is vital. Tedious as this seems at the time, the resulting details prove unexpectedly informative. Enough that, when the pace picks up, early next week, you`ll be relieved everything`s been dealt with. Outline: Let Monday and Tuesday be days for collecting yourself, getting things back in order and obliging others. The smallest thing can be incredibly satisfying. That remains true at least until Wednesday and Thursday, when the satisfaction you feel in details done well begins to wane. Put another way, a philosophical conversation would satisfy you more at this time. So go ahead and initiate a philosophical conversation. Friday and Saturday, on the other hand, you`re barely able to keep up your end of small talk. One day you feel like talking; the next day you don`t. Chalk it up to mood. Sunday is radiant. Word of your talent is spreading. You`ll be able to land a prestigious creative assignment. Showing off your skills will pave the way for more business. Slowly but surely, you are reaching your professional goals. Give yourself a reward. Have a massage, a spa treatment or a slap up meal with your beloved. You like to work hard and play hard. Allow your body to rest and recuperate. It`s much easier to be productive when your muscles aren`t aching from overwork or atrophy. The period between eclipses is usually testing – but can also be illuminating: as though a veil is lifted. This particular fortnight (to April 4th) could find you giving careful thought to both long-term professional responsibilities, and also to domestic and property matters. True, the two things may be linked. This week the need to explore options and to know exactly on whose support you can rely is extra important. It might also be that conversations with those who live some distance away take on fresh meaning. It`s even possible that they have a proposition for you. For those in work, a strong possibility is that a colleague who has dealings with those who work in other countries will ask for your advice and, maybe, suggest that you take their place at events planned for later in the year – again prompting you to think carefully about where and how you work. Career & Finance: In-depth analysis and higher-level thinking may have to wait while you take care of regular business during the first few days this week. If you lose time helping others or putting out fires, the good work karma will come back to you; but starting Wednesday afternoon and lasting through the end of the workweek, your future is now. It`s all happening fast, but don`t miss the longer-term implications of current occurrences, both on a personal level and in your field as a whole; and working with others requires diplomacy this weekend. If you`re feeling impatient, fly solo. Epigram: Welcome as the fortunate events triggered by Wednesday`s superb aspect by the Sun to Saturn may be, they`re bound to be unsettling. Knowing this, do all you can to tidy or de-clutter areas of your life that you`ve neglected, especially recently. This doesn`t just clear the way, it also gives you a chance to examine what worked in the past and what didn`t. Outline: Monday and Tuesday, spread out a blanket under a tree and have a delicious picnic. Fruit, bread, cheese — really live it up. If you have other things to do on Monday and Tuesday, well, try to squeeze in some time for luxuriating somehow (especially with a loved one). Wednesday and Thursday are more work-oriented, or at least task-oriented. Expect a staggering quantity of e-mails in your inbox. Then, on Friday and Saturday, aim your efforts toward your home life. Maybe buy some buckets of paint and start that redecorating project in earnest. Sunday is a good day to be at home, too. Keeping a low profile helps you chill out and catch your breath. Recently, you tried to accommodate the needs of lots of different people and it has been exhausting. Take this opportunity to sneak off to a quiet place where you can hear yourself think and make a few plans and decisions for the future. Staying home alone is a good option. Your family is poised to pamper and pet you. Be receptive to their tender loving care, because you`re so self sufficient they rarely get a chance to spoil you. We are between eclipses: a period of transition. By the lunar eclipse (April 4th) the way forward will surely be clearer. Before then more shocks and surprises seem likely both on the domestic front and within your working scene. You likely won`t be alone in being torn by these demands as several signs of the zodiac could tune into similar themes. What may now be apparent though is that in the coming months you`re likely to have increased involvement with large institutions (may be hospitals or media outlets or other administrations whose ways of working aren`t easy to understand). This week isn`t so much about arriving at strategies as talking to those with experience and researching expertise. What may be clear to you is that an altered way of working could achieve the desired result at a fraction of the costs so far indicated. Career & Finance: You`re probably all ready to buckle down as the week begins, but the stars say all work and no play — or at least rest and balance — is a bad deal now. Be humane with the self-expectations and the hours. Starting Wednesday afternoon and lasting through the end of the workweek, be the voice of reason. Those around you are very likely overanalyzing, failing to focus or otherwise muddying the waters. Clear it up; and stay online and available this weekend — something may crop up that benefits from rapid handling. Epigram: Usually you`re able to rely on your knack for analysing even very complex situations. Yet the wide range of developments you`ve faced recently has left you mystified. For now, forget about these entirely. While initially this won`t be easy, soon the intriguing ideas coming your way put things in perspective. Better yet, this frees you to focus on the intriguing offers coming your way. Outline: A discovery startles you at the start of the week. Suddenly, the past comes into focus in a way that it hasn`t before — it`s illuminating and instructive. This is a fine prelude to what comes to you on Wednesday, which is a sizzling love affair, or an intensification of an existing love. Thursday, as well, is all hearts and chirping birds. It only makes sense that Friday, coming down from such excitement, is a bit of a drag. You have responsibilities to attend to and you`re running out of time. Saturday is made for working, but Sunday is, once again, all about you and you-know-who. Knowing the right people is always helpful. Ask a friend to introduce you to the main players in your neighbourhood or community. Once you get to know them you can share your plans and ideas with them and see if they will back you. An innovative idea will get an enthusiastic reception. In the past, your cutting edge sensibilities were quickly dismissed. Now everyone wants change. People will value your decisive determination so long as you don`t back them into a corner or limit their options. Before the lunar eclipse in early April your world could be rocked – yes, again. It`s not unusual for people to change direction during these periods or for a `veil to be lifted`. In your case security could come from sensing that you were `right` all along in determining where certain people were headed. That said, it may be that this is something you have to keep to yourself! There may be more grace to be had in keeping quiet – at least until after the lunar eclipse. You might though be secretly pleased with steps being taken. At a slightly different level, you could also experience `Spring Fever` with determination to improve living conditions and, specifically, an area in which you could develop a hobby that`s been sadly neglected. There is, of course, another possibility: that you need to make space for visitors (work colleagues?). Career & Finance: If work`s less than mentally stimulating during the first few days this week, it`s time for a change. Whether you`re acquiring new skills (always a plus), volunteering for a new project or looking at a grander-scale shakeup, the stars shed light on your efforts. Then starting Wednesday afternoon and lasting through the end of the workweek, crafting an unusual approach or putting together a creative solution is key — and you`re just the one to do it (and get the extra credit, too). After all this, do attend to home and health this weekend. Time off`s crucial now. Epigram: Each New Moon brings a magical quality of stillness, reflection and renewal. However, because the recent one was in Pisces, it constitutes a sort of personal New Year, complete with resolutions. In some situations, you already know exactly what needs to change and, in some cases, go. In others, simply reviewing arrangements with an eye to rethinking them is a good place to start. Outline: Beauty and romance figure strongly at the beginning of your week and set you off on the right foot. On Tuesday, eat a delicious dinner and turn in early (hopefully in the arms of someone else! ), because on Wednesday, you need as much energy as possible. The middle of the week is a bit overwhelming, that`s all. It`s nothing you can`t handle. However, don`t expect clarity or direction. Then, on Friday, you have time to devote to romance once again, and by Saturday, you`re swimming in the nectar of love and affection. What a happy end to the workweek! On Sunday, work out. Money allows you to travel, study and write. While others spend their income on material goods, you`d rather expand your horizons. This quality makes you a fascinating individual. It`s no surprise everyone wants to be around you. You`ve always got interesting things to say and in turn, your communicational skills generate lots of professional interest. Always remember that your personal and professional lives are closely linked. Your ability to lift and inspire the team is your greatest asset. Yours is one of the most obviously sensitive signs of the zodiac. So you might well tune into the subtle changes of atmosphere between now and early March – and be aware that many are making decisions that will affect you. It`s not that you are helpless – but perhaps more the case that you might need to wait until after most of this disturbance and displacement is past before you can really move forward. That said, you could have valuable contributions to make – mainly in that it`s entirely possible that you are custodian of archive material. Discovering value in `old` ideas and things may be one of the major themes this week. It`s quite likely too that someone you worked with in the past and who is now heading up a new team, will be keen to have you on board just as soon as they have freedom to dictate terms – probably in two weeks` time. Career & Finance: Make an impression with your communication during the first few days this week. Even quick e-mails can have a little extra info, humour or positive reinforcement that reflects well on you. Then nothing`s black and white in the workplace starting Wednesday afternoon; your innate ability to perceive the shades of gray and to go with the flow serve you well through the end of the workweek. When the weekend comes, your interpersonal energy is really working for you — whether you`re networking or working on some more romantic elements of your life. GrannyMoon*s Morning Feast 20Mar15 I Start Each Day With A Prayer To The Goddess! Morning is just another face of night;if morning was a part of you, what would it look like? Feel? We carry our morning within us—let them out. Day of Seatere, Seater, and Saturn and of Loki, the Norse god of tricks and revelry. Saturday is ruled by Saturn, whose Magickal influences are: longevity, endings, and homes. Saturday comes under the influence of Saturn. Saturn’s influence directs our attention toward routine chores, customs, and conventional traditions.Saturday is a good day for furthering our ambitions through perseverance, patience, responsible action, and a sense of purpose . Saturday is a good day of the week to perform spells and rituals involving spirit communication, meditation, psychic self-defense, binding, and locating lost things or missing persons. 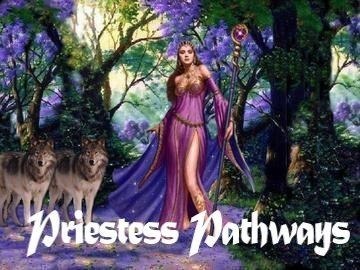 Today’s Energies: Female – Rules obstacles, overcoming blockages – Use for magick involving overcoming limitations, the elderly, endings, deaths, blocks, constrictions, and those restricting you. New Moon, at 5h. 38m. morning. also in 10th deg. of the Constellation Pisces, the Fishes. Moonrise: 7:09 morn. Souths: 1:29 eve. Moonset: 7:54 eve. New Moon Magick: The beginning of a new cycle. beginnings. Also love and romance, health or job hunting. The first phase of moon’s orbit around the earth….it is between the sun and the earth so from the earth they rise and set together…thus we cannot see the reflection as it faces the sun..at the 12 o’clock position..This time is used for personal growth or a time for healing….also a time to consecrate new tools…..to be used in upcoming ceremonies…..
Keywords for the New phase are: beginning, birth, emergence, projection, clarity. It is the time in a cycle that you are stimulated to take a new action. During this phase the new cycle is being seeded by your vision, inner and outer. Engage in physical activity. Spend time alone. VISUALIZE your goals for the 29.6-day cycle ahead. New Moon workings can be done from the day of the new moon to three-and-a-half days after. The new moon is for starting new ventures, new beginnings. Also love and romance, health or job hunting. Spells and rituals involving the Fire element should be performed when the Moon is in a Fire sign: Aries, Leo, Sagittarius. Tomorrow is also a total Eclipse of the Sun – visible across Northern Europe and Iceland. With an eclipse, the light of the Sun is cut off by the Moon, which is passing between the earth and Sun. For this to occur, the moon, sun and earth have to be at the same latitude. Picture the solar system as a disk, with everything on a flat surface, all circling around in a clock-wise direction. If that depiction were correct, then every new moon would be an eclipse. The reality is that not everything happens on the same level – sometimes planets go above or below – and most of the time the moon is not moving at the flat disk level. When the moon lines up exactly, we experience an intense situation where things come to a climax, or crunch time – with situations that need to be resolved. The smooth sailing of life can become a white water rafting experience – except that we are blindfolded and unsure of the destination. If you are caught up in the need to come to a decision or sign on for an assignment – try to pull back and slow the process. Answers will be available by Monday. is only fit for private business. Fell timber during dark of moon in Aquarius or Pisces. ~”Old Farmer’s Almanac”, circa 1745. Hauriens Secundus, The Following Spout. Marked by the fix’d Star: Algenib, in Pegasus. Sunrise: 7:12 morn. Sunset: 7:19 eve. Length of Day: 12h. 7m. Dawn: 6:46 morn. Dusk: 7:45 eve. and looks white, rain will most certainly follow. ~Collected in R. Inwards, “Weather Lore”. Double, Double-Bodied, Dual, Bicorporeal, Moist, Dumb, Mute, Cold. One who recognizes no authority with greater esteem than their own, who is loyal to self. Good judgment comes from experience. Experience comes from bad judgment. You have worked long and hard to get to the point where you can rest on this journey. Your energy carries you on, but you must stop to rest and rejuvenate. Sit outside under the trees and let the winds whisper to you, they speak to you of many things from the past as well as for the future. This day is sacred to the goddess Fortuna, the Morrigan, the Norns, the Three Fates, and the Three Mothers (Lakshmi, Parvati, and Sarasvati). The Spring or Vernal Equinox – 8:00 P.M. EST. The word equinox is derived from the Latin words meaning “equal night.” The equinox refers to the point at which the Sun crosses the plane of the Earth’s Equator from south to north, making night and day equal length all over the planet, signaling the beginning of nature’s renewal in the northern part of the world. 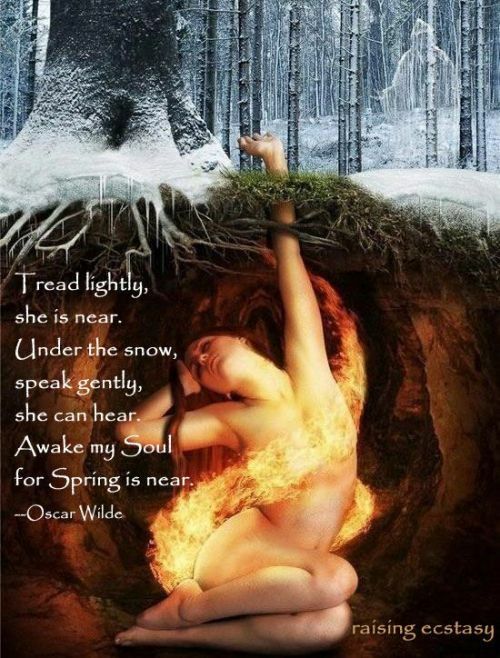 Pagan: The Spring Equinox — called the Festival of Trees, Ostara, and the Rites of Eostre, among many names in many traditions — is a fertility festival celebrating the birth of Spring and the reawakening. Southern Hemisphere ~ Mabon Thanksgiving (Second Harvest) Autumn Equinox ~ Giving thanks, Reflection. Egyptian: Feast of Sexual Fertility of Min. March 21 Day Dedicated to Sun Goddesses. Honor the Sun’s role in Spring’s rebirth with incense and flame. Originally a Phyrgian Goddess, Cybele’s worship was imported to Rome, where she was called Magna Mater (Great Mother). Emperor Claudius popularized the Phyrgian tradition of bringing a young pine tree representing Attis into the city like a corpse, swathed in linen and woolen sashes and decked with violets. Members of the Tree Bearer’s Guild (dendrophori) carried it through the city gate and into Cybele’s sanctuary which stood on Vatican Hill, near where St Peter’s stands now. Fri. 3/20 New Moon in charming Pisces quickly becomes energetic Aries, and the Solar Eclipse brings change and renewal. Vernal Equinox Sun into Aries starts the new Solar year off brightly. Sat. 3/21 Active Aries Moon keeps us on the go. Sun. 3/22 Earthy Taurus Moon suggest gardening or shopping. Mercury sextile Pluto can help with solutions to problems. Today is an excellent day to invoke the spirit of the Orisha Osanyin. This is customary during this time in Africa. The story of Osanyin is telling. Osayin tried to hide all the herbal knowledge he possessed inside a gourd hung high in a tree so the other Orisha wouldn’t be able to use it. The gourd fell, teaching us that herbal knowledge is not to be rarified but rather shared by all. 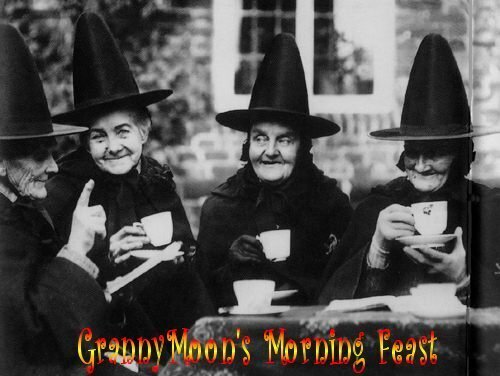 Today, have an herbal tea party for your coven, friends, or family. I give you tea in good health. Sweeten the tea with honey if desired, and enjoy the fellowship of your circle. Choose Rosewood when you want an immune stimulating oil but not an energizing one like Tea Tree. Rosewood is gentle, a very safe oil, a good oil for anyone with lowered immunity. It is also helpful for chronic fatigue. hear my words of power. mention it as you say your words of power. sun would be less difficult than to stare at her brilliance. A white silk gown clothed her, fastened with red gold. Today the light has outstripped the darkness inn its annual race. Energy pours into our bodies as we begin to feel again the power and grace of light-filled movement. During the coming season. we will honor the sun and the light, feeling its power and rejoicing in its beauty. We do not need to deny the night to celebrate the day. Both have their special glories. Relish the delight of warm air on skin. Let your eyes rest with joy on the yellow-green of new leaves. Touch the tender catkins and the fragile crocus petals, feeling the wonder of pleasure. We are born into bodies that sense and respond to our world. Let yourself become a vessel of the power of the goddess, acknowledging the beauty she has created. Birthday horoscope for today: The astrological planet that rules this particular day marking the end of the Pisces zodiac group on the cusp of Aries is the Moon. If you have this birthday your optimism is generally high and you are bestowed with numerous talents and a purposeful practicality. Intuitive and compassionate you seem to naturally sense when others need your help or advice. You are full of fun and charm and will be spontaneous when you are allowed to be, but you can also sometimes be restless due to your independence and love of variety. Friendly, imaginative and sensitive you have a fairly well balanced view of the world and will get along with almost everyone. Epigram: Paying attention to your most intriguing inner visions is crucial right now. You have dreams, goals and ideas that deserve to be pulled into the real world — people should know about what you are seeing when you close your eyes. Draw, paint, sketch, write down or even just describe what it is that you want. Someone you talk to today can help you make it a reality — and help you enter a new phase. Outline: You`ll attract lots of romantic attention. Your warmth, generosity and spontaneity are hard to resist. If you`re single, this will be a lovely opportunity to embark on a relationship with an extremely creative person. You both have an adventurous spirit that is conducive to travel. Collaborating on art projects is also possible. Do you already have a romantic partner? Don`t be surprised when your amour gives you a wonderful surprise. You occupy their thoughts and add spice to their dreams. The Sun reaches your sign at 22.45 GMT (an excuse for a celebration) and your annual refuelling begins. You may be encouraged to list what you`d like your year to bring by a Sagittarius colleague whose thinking is clearly changing. Plotting an adventure together is likely. At work you could get caught up in a creative quandary that leaves you wondering about someone`s decision- making abilities generally. Finance: Going it alone may be seem more glorious, but working in groups is a more realistic way to achieve your financial goals. Pooling money is a given, but getting the support and assistance you need is an added advantage. Career: Focus on your career right now. If that means polishing your resume or skimming through business cards, so be it. You should have the energy you need to take care of your daily tasks while you`re looking for new opportunities for personal growth. Epigram: Today you may start to feel that ordinary life is overrated, especially now when there is so much opportunity for you to try some new things. Before you decide that you have no time for exploration, you should at least try to fit in some playtime. This is a good day to think about the things that you have always wanted to do but have never had enough time to do. All it takes is some planning ahead to make these things fit into your life, so start planning now. Outline: Spending time with family will be rewarding. It`s reassuring to be surrounded by people who understand your quirks and appreciate your sense of humour. If you`ve been thinking of buying a place, this would be a great time to do so. A generous relative could help with the deposit or give you some much needed furnishings. Turn a deaf ear to a negative person who thinks you should be more cautious with your money. A grounded person like you needs a home base to thrive. A strong need to be vindicated at work could leave you on collision course with someone whose approach you see as being mean-spirited. The issue of fairness is set to gain momentum over the next few days. After the Sun enters Aries at 22.45 GMT, you might decide you`d like to wait and play your hand at a moment of your choice. The down-side of this is that you could be left smouldering – and comfort eating. Finance: Money is energy and power, but what you`re going through is not a power struggle. Be more focused on the numbers and less on their effect, and the whole situation will feel less outrageous. Career: It`s a great all-around day to be you. Just make sure you carve out some time for some play. You might encounter a little romance in the process, whether it`s reconnecting with a long-time lover or hooking up with a hottie! Epigram: Someone from your past will reappear today, and you should prepare yourself — this person has made some radical changes, and is eager to hear what you think of the transformation. Above all else, you should be honest; but you should also be mindful of the fact that he or she is putting more importance on your opinion than you think. So be gentle with any bad news, and try to spin everything in a positive way. This won`t be difficult. Outline: Expanding your intellectual horizons will be enjoyable. This is a great time to acquire a skill or study with a respected teacher. Put your assumptions aside and let your instructor demonstrate another way of doing things. This method will be counterintuitive, but it will yield results sooner than you think. The more ways you are able to execute a task, the greater your success will be. Technical breakdowns and practical limitations can hamper someone with limited skills. Colleagues and friends could be asking you all the questions. Indeed, once the Sun reaches Aries (22.45 GMT), you could even perceive this as `interrogation`. Your ethics could come under scrutiny too. By the end of the day you may have decided you need to act to protect someone who`s not as articulate and who`s in danger of being railroaded. Finance: Someone new may appear at this time, and it could be you. It`s more than just appearances. Your financial circumstances have changed recently, so why shouldn`t your approach? Career: You will encounter a great opportunity to stretch the boundaries of your work life next week. You may even decide to take a big step away from your current career path. You`ll feel it in your gut if it`s right — if you have any trepidations, don`t do it. Epigram: Someone who is standing in your way right now is in desperate need of a lesson in flexibility — the good news is, you don`t have to be the teacher. Sometimes, people learn best when they`re forced to deal with the consequences of their own actions (or their inaction, as the case may be). Let this person continue being stubborn, even though you see nothing but frustration down the road for him or her. You should not put yourself in jeopardy by trying to help. Outline: More money is coming in, allowing you a greater measure of comfort. Splash out on a few luxuries. You are always working for ways to make life easier for others, but you rarely give yourself the same consideration. It`s time to change this situation. Indulging in some new clothes, expensive toiletries or handsome jewellery will give your spirits a lift. You work hard and should have something to show for it. Satisfy your love of fine materials and quality workmanship. The Sun reaches the apex of your solar chart at 22.45 GMT. This could give you the energy fix you need. It could lead to a frenzied bout of spring-cleaning. It`s perhaps more likely to lead to lists and lists of lists and a campaign with a self-imposed deadline. The change between your attitude at the start and finish of the day could be startling. Finance: It`s hard to keep your cool, but you can`t think rationally with steam blowing out your ears. Go for intellect rather than emotion if you want to continue picking winners. Career: Your personal discipline is certainly admirable, but it`s important to make time for relaxation as well. If you`re even considering working today, think again. Try to find a good balance — the stars are making it less difficult than you might expect. Epigram: Today you can put all the unpleasant stuff aside and focus on relaxing and enjoying yourself — whatever relationship issues or conflicts you`ve been trying to work through can be dealt with another day. You have more important things to do right now — such as enjoying the company of people you never get to see often enough. Focus on having fun, indulging in good times, and taking a turn on the dance floor! It`s time to celebrate, not to contemplate. Outline: Your childlike enthusiasm opens doors. Don`t be surprised if you`re asked to go on a glamorous business or academic trip. This will be a great way to see the world at very little cost to you. You might be travelling rough, but that will be half the fun. Seeing the world will stimulate your creative side. If you`re inspired to write, compose music or make some designs, do it. Getting a change of scenery is one of the best ways to break stubborn patterns. You could choose to celebrate the Equinox (22.45 GMT) or you could find some other excuse to have a good time. Your thirst for knowledge and to be with people who`re deemed `experts` in their field could be marked. You might decide to enrol on a course to improve your skill in a hobby. There`s also the outside chance of meeting someone who`s been an idol. Finance: Your pride is pushing you forward, but you`re going sideways. Let go of preconceived ideas. Thinking laterally could be a good way to ride out a financial mess, so be open to it. Career: Try to avoid rocking the boat right next week. Anyone who draws attention to themselves will suffer some unpleasant consequences. You can raise your concerns later on, but for now, just keep your head down and do your work. Epigram: A person who disagrees with you isn`t necessarily unintelligent. Sometimes, smart people say stupid things simply because they haven`t gotten all the facts. So you should be respectful, and as open-minded as possible, when someone voices an uneducated opinion today. If you treat this person with respect, he or she will be much more likely to listen to your point of view. With your powers of persuasion and some crucial facts, you may even change this person`s mind. Outline: Spending time alone will be soothing. You`re tired of being at the beck and call of others. Normally, it gives you great pleasure to make people`s lives easier. Lately, people have become too dependent on you. They become angry and resentful when you`re not readily available. This dynamic has got to stop. Putting your own needs first will send a clear message about your priorities. You`re happy to lend assistance when you can, but only after you attend to your own needs. That`s reasonable. The Sun enters Aries at 22.45 GMT and at some level you could be inflamed. A stomach upset is one possibility: another is that someone`s got under your skin and you don`t quite now what to do. A sense of outrage (or could it be love?) is likely. In this highly charged emotional state (and especially this evening) you could say something you come to regret. Finance: You already know that your routine has been tossed out the window. Look for simple ways to adjust. Experiment a little if you want to find comfort with your new money methodology. Career: While most of your peers are struggling, you will enjoy the challenges you find. You might even draw some positive attention your way, thanks to your fresh approach and jovial attitude. Your level of professionalism is hard to find. Epigram: Old things look brand-new in your eyes today — with all the creativity that`s bubbling up inside you, it`s impossible for you not to cast a fresh perspective on well-worn ideas or traditions. Your unique touches will entertain and charm everyone, so go ahead and follow your instincts. It may be time for redecorating or remodelling part of your home. Investigate a colourful environment, such as a flower shop or a fabric store, and see if that gives you any ideas. Outline: Never underestimate the importance of your social network. If you`re looking for work, you will find it through a friend. Spread the news of your job search far and wide. You will hear of a brilliant opportunity that seems tailor made for you. Are you in search of love? Similarly, someone you know can set you up on a blind date. Don`t be quick to reject such an offer. You will be pleasantly surprised to meet someone who shares many of your values. The Sun reaches your opposite sign at 22.45 GMT and the accent moves to partnerships. Before then your creativity – and whether or not you should `dress to impress` could be an issue. (Later, power-dressing might seem the best option). A document that you`ve been incubating for weeks could finally be put to paper – with the assistance of a Sagittarius who knows which points to get across first. Finance: All is not lost. If you look around, you`ll see people still enjoying themselves, engaging in romance, and generally getting along well. If nothing else, you should see by now that money isn`t everything. Career: Messages you receive next week — especially electronic messages — will be less clear than you would like. Ask for more information, but don`t expect anything definitive. When in doubt, pick up the phone or request a meeting. Epigram: A family member whom you don`t always agree with is finally ready to see things your way — it seems that you can teach an old dog new tricks after all! Embrace this relative`s change of heart, and do not let the phrase `I told you so` escape from your lips! This is the start of a whole new era in your relationship, and it will be enlightening for both of you. Admitting a mistake was not easy for this person. Now you should be prepared to admit some of your own. Outline: An exciting opportunity to showcase your talent will arrive. Be ready to seize it. If you hesitate, a quick thinking rival will steal your thunder. You have wonderful ideas about putting a modern spin on old formulas. By presenting these concepts to the public, you could be given an impressive promotion or a high powered job. Landing a position in political office is also possible. You`re tired of working in obscurity. Take this opportunity to command the spotlight with your innovative notions. You won`t be sorry. The Sun enters Aries at 22.45 GMT and you might resemble a coiled spring. You may now feel you`ve given others enough time. You might still be `gathering evidence` though. There`s potential danger in making demands too early: though you might be tempted to impose a final deadline. An ally could appear late in the day. You might like this person to fire the first shot. Finance: Unexpected outbursts can happen anywhere. It`s the ripple effect. When people are worried about money, they snap on the subway, and problems even make their way home. Try to maintain some harmony. Career: Make sure you`re as organized as you can be next week. After all, you`ll be forced to pick up the slack when your co-workers drift off into their own confused little worlds. Don`t get overly upset about it — just keep doing what you do. Epigram: You are in for quite a surprise when you re-enter a situation that you were expecting to be the same as it has been in the past. There will be some new energy present, in the form of people you`ve never met before. At first glance, these folks might intimidate you with their buttoned-up or highly polished exteriors; but give yourself time to adjust — be friendly, and you could discover a kindred spirit or two. After all, strangers are just friends you haven`t met yet. Outline: Sharing expert knowledge with others will lift your spirits. You enjoy working with enthusiastic students who have high ambitions. By adjusting your methods to a variety of learning styles, you`ll have great success. Stuffier members of the team will disparage these efforts, but you will have the last laugh. By the end of the term, your students will have demonstrated mastery of their subject, while theirs will still struggle to grasp basic concepts. The proof is in the pudding. You`ve probably got a lot to say – but could find it easier to get your points across after the Sun reaches Aries (22.45 GMT). From then, your enthusiasm for a project is set to grow. Your own part could be escalating. Your love-life could take an interesting turn late in the day when you realise how important success in this project is to this person too. Finance: Go back to the basics. Connecting with people is a must in business, and you already have that skill. It`s a great day to increase your accounts by increasing your network. Career: You`ll realize at some point next week that your peers are doing things in the same old way, despite your suggestions. Needless to say, work might get frustrating. Don`t worry about it — try to rise above their level and set your own standard. Epigram: Mercenary ideas are suddenly interesting to you, and you might find yourself lingering over the newspaper`s financial section. You are on a quest to make more money with less effort. Make a plan to educate yourself about ways to make your money last longer, or even grow faster. As the month comes to a close, you`re in a good spot to strategize your financial goals for the next few months. Outline: Money from an inheritance, dividend or legal settlement will give you more financial leverage. If you want to put a deposit on a car or home, it will be possible. Don`t be afraid to assume more responsibility. Having possessions can be a burden or blessing, depending on your viewpoint. If they don`t serve you well, you can always get rid of them. Chances are they will be a source of profound pleasure, especially if you adopt an attitude of gratitude. The Sun reaches the base of your solar chart (Aries at 22.45 GMT). You could think of this as light shining in a darkened area. You`re likely to be aware of dust – and all the tasks that you ought to have got around to and which are now urgent. Friends born under Aries, Cancer and Libra will understand: it might even be helpful if you joined forces. Finance: You`ve been around the block enough times to recognize a sketchy plan when you see it, or smell it. Pay attention when you get that wary feeling. Your nest egg is at stake. Career: Keep your mind on the big picture next week — or, better yet, on your customers. You can skip over the details for now — they won`t be terribly important and your mind will be better able to focus on them later in the week anyway. Epigram: Hard work never actually killed anybody, but why should you take the chance? Today, tell your ambition to take a hike — and then take a hike yourself (well, maybe an indoor activity might be more appropriate for this time of year)! An hour of physical activity will make you feel ten times better than checking items off your to-do list. Relaxing isn`t the same thing as vegetation, however. Keep yourself active, but do it for the sake of doing it — not for the points you could score. Outline: Working with a partner will be stimulating. You know how to do all the practical aspects of a job, but when it comes to publicity, you`re in the dark. Put your faith in a glamorous person who lends an element of fanfare to everything you do. Together, you can have tremendous success. Don`t be shy about seeming crass or commercial. It`s sometimes necessary to boil down the essence of your work to its barest essentials. Bland messages get lost in this highly competitive market. The Sun reaches Aries (22.45 GMT) and the cost of communications and travel could be brought home to you and you might wish to find a better service provider. A blast from the past could unsettle you too: perhaps taking the form of someone with a very large voice and/or strong opinions. Whatever their drawbacks, there seems little doubt of their generosity – which could make the difference to your attitude to a problem. Finance: Every situation is an opportunity. Use this one to be inspired and instigate changes. Your energy levels are high and the need is there — nothing is missing in your new equation for success. Career: Next week presents a great time to look around the workplace and see where your assistance or advice is most needed. You may have to poke your nose in pretty deeply, but in the end you`ll be recognized for going above and beyond the call of duty. Epigram: Are you so caught up in your dreams that you are ignoring the magic that is in your reality right now? This is not a time to focus on hopes and wishes. It`s a time to take stock of what you have, and cherish it. Send an expression of gratitude out into the universe — concentrate on how very thankful you are that you`ve come so far in your life. So what if your material goods fall short of someone else`s standards? Don`t judge yourself by others` expectations. Outline: You`ll race through work like a hot knife through butter. Give yourself a handsome reward for this diligence. Splash out on some new clothes or treat yourself to a massage. You don`t often indulge in luxury, but when you do, it`s in high style. Fortunately, money is coming in fairly quickly. Be sure to put a portion of your earnings into a savings account, where it can protect you from market fluctuations. A friend will ask for a loan. Don`t feel pressured into giving it. As the Sun moves into Aries (22.45 GMT) and your `personal finance` zone, the accent moves to protecting your interests – in particular the roof over your head. You might have a lot to say to someone who appears to be invading your space. At a different level the chef in you could come out to play – tempting you to try out a fast but `hot` recipe. Finance: Too many thoughts make it hard to focus on the numbers. Time is money. Wanting to retreat is natural but don`t spend too much of the day lost in dreams. Career: Next week, expect to receive some profoundly cryptic messages from above. Unfortunately, you can`t do much about it but wait for further instruction. Meanwhile, don`t worry about what you can`t control — just stay on task and everything will fall into place.